In the case of schedule-based recording with motion detection — motion detection is turned on, but the analysis is not used to determine whether or not to archive the video. Motion information is encoded into the continuous stream of archived video, indicating if motion was detected in each frame — and if so, how much motion was detected. This information is used during replay allowing the user to see when motion occurred, as well as skip over all motionless video at the click of a button. 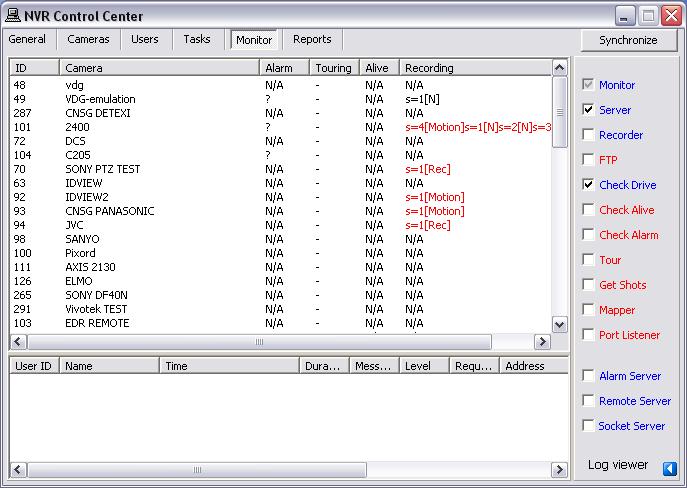 Turning on recording requires at least one schedule to be added and configured for the camera. When a schedule has motion detection enabled, the Motion Settings become available to the user. 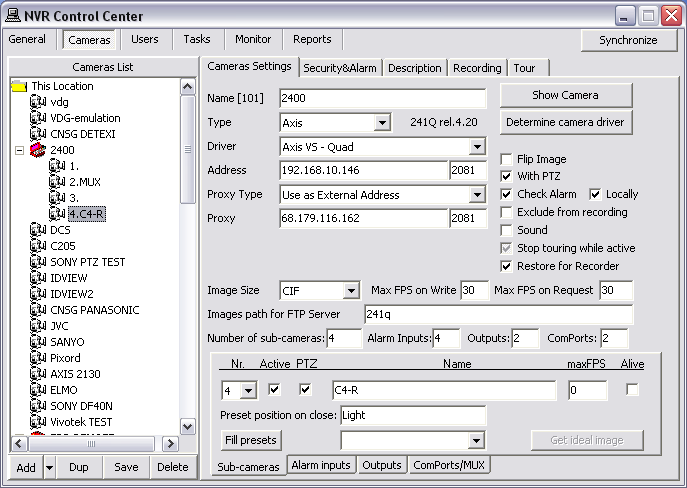 These settings are not required, but can be used to optimize motion detection for each individual camera and its environment. Learn more in Adjust Motion Settings section. Click Add button under the blank Schedule list to add a new recording schedule. Select the Restricted Between radio button and define a time range FROM - TO and leave proper days of the week checked to have the schedule repeated these days only. Continue to Setup Motion Detection. Under the Motion tab Motion detection checkbox should be checked (motion detection is set by default). Set the Motion Step — the sample rate for motion analysis. With a motion step of 1, every frame will be analyzed. With a motion step of 3, every third frame will be analyzed and so on. Click Save button below the Schedule list to save the schedule item settings. 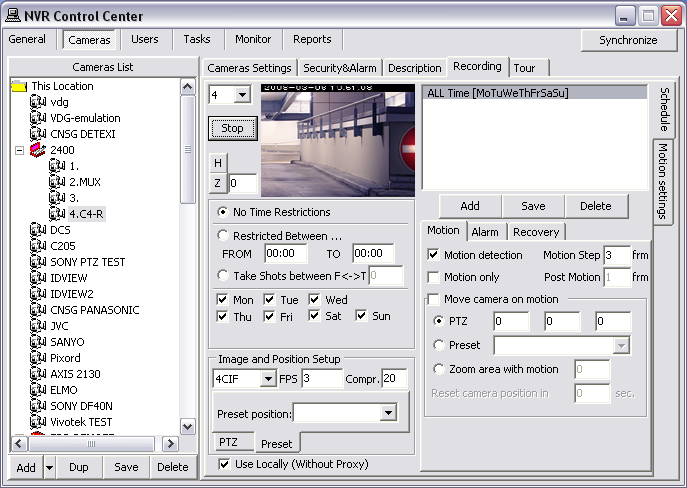 Add more schedules for the camera or switch to the Camera Settings to select another camera to configure. The actual time between frames compared for motion detection will depend upon the FPS defined in the schedule.